Currently, 1 in 68 children (1 in 42 boys and 1 in 189 girls) is identified as having autism spectrum disorder(ASD). These numbers have skyrocketed over the past 20 years, which has left researchers scrambling to determine what factors may be behind the neurodevelopmental disorder. 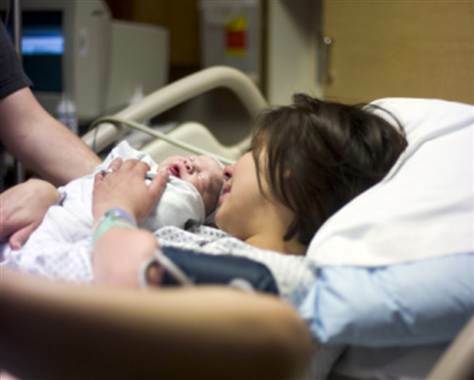 In previous years, there has been some speculation that a woman being induced during childbirth could increase a child’s risk of developing ASD. Inducing labor involves stimulating contractions before labor has started through various means, including the use of oxytocin (Pitocin), a drug that stimulates contractions. At that time researchers analyzed information from the Utah Registry of Autism and Developmental Disabilities and state birth certificates. They compared the birth histories of 2,547 children with autism to 166,283 unaffected children. Autism rates were the same (1.3 percent) for children exposed to labor induction and/or augmentation as they were for those who were not – after adjusting for factors such as maternal health and pregnancy-related conditions and events. These results mirrored a very similar study that was conducted in North Carolina where a team looked at the birth records of more than 625,000 babies born in North Carolina between 1990 and 1998, and compared those with public school records to see who was later diagnosed with autism. According to the researchers, 1.3 percent of boys and 0.4 percent of girls were diagnosed with autism. Specifically, boys born to moms whose labor was induced or helped along were 35 percent more likely to develop autism, compared with their counterparts. This week Dr Oberg, from the Department of Epidemiology, Harvard T. H. Chan School of Public Health, Boston, Massachusetts, and coauthors released a much larger study, that was published online July 25 in JAMA Pediatrics. The team studied at all live births in Sweden between 1992 and 2005 (1,362,950), including 22,077 who were diagnosed with ASD during follow-up. Of those deliveries, 11% of the live births were induced. Factors such as primiparity, older maternal age, and higher maternal body mass index all were risk factors for induction, along with pregnancy complications such as gestational diabetes, gestational hypertension, and pre-eclampsia. By the time the participants were 20 years of age, 3.5% had been diagnosed with Autism as opposed to 2.5% of the children in the non-induced group. When three studies from two countries arrives at almost exactly the same conclusion, it’s safe to say there isn’t a risk to babies who are born by induction. Dr. Bryan King, a researcher at Seattle Children’s Hospital and the University of Washington who wasn’t involved in the study told The Globe And Mail, “These investigators were able to take advantage of a very large population database to look within families and compare the risk for siblings who were induced versus those who weren’t, thus better controlling for other genetic and environmental risks. The comforting news here is that in situations when induction of labour is medically necessary, parents do not need to worry that the procedure itself will significantly impact the risk of autism,” he said.